Highly recommended! Rooms start at $159 per night. Check-in is at 3pm and check-out is at 12pm. $75 non-refundable pet fee. If your stay is longer than 7 days the fee is $150. Only 2 pets allowed per room with a maximum weight per pet of 80 pounds. Staybridge offers spacious rooms and an expansive patio area to ensure your best friend won't get cabin fever while on vacation. Staybridge Suites in downtown St. Pete 940 5th Ave S.
Rooms run roughly $95 per night. Check-in times start around 4pm and check-out is 11am. Only dogs are allowed with a maximum of 1 dog per room. Max weight is 25 pounds. Pet fee is $50. Postcard Inn is located at 6300 Gulf Blvd. on St. Pete Beach. Rooms run at about $134 per night. Check-in begins at 4pm and Check-out is at 11am. Pets are allowed with a maximum of 2 per room. Pet max weight is 75 pounds. Pet fee is $75. Hilton St. Pete Bayfront is located at 333 1st St S.
Island Grand rooms begins at $175 per night. Check-in begins at 4pm and Check-out begins at 11am. Island Grand offers 48 pet friendly suites. The property is equipped with a pet play zone with doggie drinking fountains, fire hydrants, photo op display, grass and shade. This secure area is a leash free zone. There is a designated dog walking zone along their meandering waterway. Island Grand even offers a dog friendly room service menu. Weight limit is 80 pounds. Only 2 pets allowed per room. A nightly fee of $30 will be charged to each room. Island Grand Resort is located at 5500 Gulf Blvd. on St. Pete Beach. Guy Harvey Outpost rooms begin at $146. Check-in begins at 4pm and Check-out begins at 11am. Guy Harvey Outpost is equipped with 10 pet friendly suites and a dog walking zone in the North Terrace Courtyard. 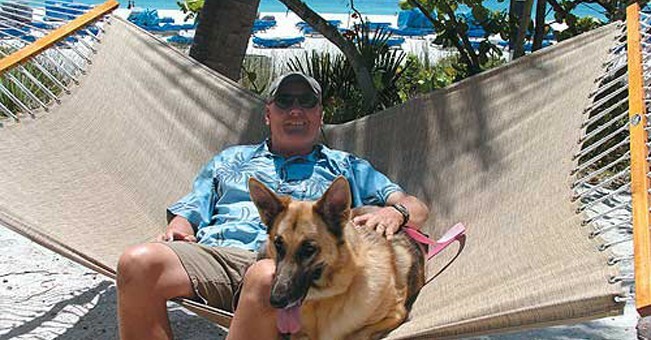 Guy Harvey also offers a dog friendly room service menu. Weight limit is 80 pounds. Only 2 pets allowed per room. A nightly fee of $30 will be charged to each room. Guy Harvey Outpost is located at 6000 Gulf Blvd. on St. Pete Beach. Loews Don CeSar rooms begin $239 per night. Check-in begins at 4pm and Check-out begins at 11am. Loews Don CeSar hotel offers your pet a one-of-a-kind luxury experience. They offer gourmet room service for cats and dogs. The hotel offers specialized bedding, leashes, collars, litter boxes and popper scoopers for guests. There are dog walking routes around the beach and hotel along with pet-walking and pet-sitting services. If you want to take luxury to a whole new level, the hotel even offers dog massages by a professional canine massage therapist. Pet fees are $45 per night and there is a limit of just 2 pets per room. Loews Don CeSar is located at 3400 Gulf Blvd. on St. Pete Beach. We know there are plenty more pet-friendly options in St. Pete. If you've had a particularly good experience at any of the pet accommodating spots in the Burg, let us know in a comment and we'll add it to the list!